Are you looking for Amazon review sites to get free Amazon products? I have talked about getting free stuff on Amazon for reviews through Amazon Vine as well as getting free Amazon samples before. It’s almost like getting paid to review products! So, this means some of the most popular Amazon sites to get free Amazon products have now closed, or changed the service they offer entirely. This post originally had over 50 sites listed, but we had to remove some because of that. Thankfully, there are still many legitimate and legal ways you can reviews products on Amazon in exchange for free items, coupons, deals and exclusive promo codes. Below, we’ve listed sites where you can still get yourself some freebies, or at least heavily discounted items, on Amazon in exchange for a review. Now, let’s assume am an Amazon shopper and I want to get free products. But I don’t know which sellers out of the thousands of sellers on Amazon will give me their product for free in exchange for my review. I could contact them directly, but this would be time-consuming and again, who knows how many will actually give me their product. The seller will ship the product to you directly. Please do keep in mind the shipping costs. Some sellers will ship the product to you for free, some will require you to pay for it. Of course, if the product is over $35, you get free shipping from Amazon anyway. And for Prime members, you get free shipping on anything that is sold/fulfilled by Amazon. If you don’t like the steep $99 a year Prime membership fee, you can always try it for free for 30 days. There are even ways to get free shipping without Prime! I am going to start with the top 5 sites first. Why are these the top 5? Not every Amazon review site has the same number of products and review opportunities. Some may have a few per month, some a few per week, and some may have products you can review daily. AMZ Review Trader was once one of the most popular platforms for getting free Amazon products, but now it’s a website called Vipon. Vipon can get you up to 50% off stuff on Amazon. While it doesn’t provide free stuff, it does offer you a great discount. On Vipon, sellers share deals and coupons most of which give you 50% off or more! There are deals available across a huge range of categories and products too. As you are about to get on to the world of reviewers, you probably going to hear a lot about Snagshout. It enjoys a massive following among the reviewers. This is one of my favorites. There are tons of products to choose from and my observation is that this Giveaway Service often features products that are in the range of $60 or even higher (retail value). You can find free and discounted Amazon products at LootHoot. You can get deals ranging from 40% off to 100% off – so for free! Create an account, and you’ll be able to get Amazon deals. You’ll get a coupon code for the product you want. Then, you’ll use the code to purchase the product. Once you get the product, you’ll need to test it thoroughly and then review it. Aside from offering free products and some great discounts, LootHoot also has a draw every week that you can enter to earn Amazon gift cards. Testzon gives you discounted and free Amazon products in exchange for reviews. You can choose the discounted or free product that you want, then you need to get approved by the seller. Sells approve a number of testers based on how many products they want to give out. Once you’re approved, you need to purchase the product using the coupon code that’s provided to you. Then, try out the product. What’s interesting about Testzon is that it does not require you to write a review – but if you want to, you can share your honest feedback. There are also other, smaller, sites that you can use to get free Amazon products in exchange for your reviews. Although some of these may not be big at the moment, they are growing, and before you know it, some of them may have way more products than the ones listed above. So do sign up for as many of these sites as you can. They are all free anyway. This site makes it easier for members by not requiring them to have to enter a discount code. But when such a requirement is mandatory, click on the product of interest and ask for that discount code. There is an “agree” button to click after you are done. The amazing variety of products here means that you can afford to pick and choose on what makes great reviews on my end. The selection process is almost immediate which is good as it means no waiting. Naturally, the products being featured here are expected to move fast and you need to regularly check your e-mail so you don’t accidentally miss out a nice product. I haven’t personally used this one but I have seen other people talk about it. They have a one-page website where you simply submit your email address and when they have products available for review you will get an email. Tons of sellers offer their products here for free or at a deep discount. When you see an item you like, click the “Reveal” button or simply contact the seller. The seller will then contact you with information on how to get your item. Here the site more or less serves as a placeholder for you to indicate your intent to review products. Once an opportunity arises, the website will contact appropriate members for potential review work. Another great sites where you can get Amazon products for free or at a huge discounted price. Jungle Launch has an interesting concept where it actually consolidates multiple Amazon sellers in their collective effort to enhance the visibility of their products in the market. This arrangement certainly works well for me as I can be exposed to a great variety of products without going to many places to look for them. Again the reward is free products or super fantastic discounts. One site that seemingly never runs out of deals. The website owner manages to strike an exclusive arrangement with just Amazon Sellers so it is particularly focused in that respect. On daily basis, the deals flow through your e-mail at 10 am PST. Simply tell them what products you want, get free sample products and exclusive coupons mailed to you, then review and share your feedback. This site pays particular attention to public feedback with regards to new and existing consumer products. The products would be shipped to you at absolutely no cost. They have a simple process. Sign up for free. They’ll then mail you coupons (for up to 99%) for newly released products on Amazon. As an Influencers you receive free products in exchange for leaving your honest review. You can even get paid for creating and promoting content. There is no shortage of deals and price point can start as low as $1, so be sure to take up multiple review jobs if you hope the reward to be any decent. Blue Ribbons Review is an Amazon review promotions site that gives people the opportunity to receive products at low to no cost in exchange for an honest review about it. You have to sign up, create a profile, and submit a request to review any of the products they have on the list. If you are accepted to review the product, you receive the item in exchange for writing a review that contains a picture or a short video. Product Testing Group is a platform where buyers and sellers are brought together to introduce and try out products in return for honest and unbiased feedback. More than what your average coupon can do, discounted products (some even free or very close) can be seen in automotive, beauty & health, clothing, electronics, household goods, toys, and more. Signup is free for testers and it’s easy to apply. Jump Send is another company that’s definitely worth checking out if you’re looking to get some great Amazon deals. You won’t get free stuff on Jump Send, but you will get some really great deals. At the time of writing, I saw deals for 90% off products on there. This means that you can save so much money on Amazon products. Another great feature of Jump Send is that you can find deals on products across multiple categories. So if you’re looking for a range of items, then you can always find a great deal on Jump Send. attachedAmzRC gives you some great deals on products in a multitude of products on Amazon. At the time of writing, I there are deals for up to 70% off. AmzRC is a great platform to check out if you want to get Amazon products with massive discounts. It might not offer free products, but at 70% off, they’re almost free. Become a product tester at ProductTesting.co, and you’ll get a great discount. You can get up to 99% off! This might not be totally free, but it’s pretty close. It’s definitely one to check out if you’d like to save a lot! Dealgogogo is another place where you can find some great deals on Amazon products. Again, Dealgogogo doesn’t provide free products, but some of the discounts on offer still make it a worthwhile platform to check out. At the time of writing, you could find deals on there for 30% to 90% off. Conveniently, Dealgogogo has a browser extension which automatically applies the best code to your cart. It searches its collection of millions of coupons and finds the best one. What’s great about the extension is that all coupons are verified as working before they are applied to your cart. There are deals available across a multitude of categories, such as beauty, clothing and electronics. Next up on our list is the Dollar Review Club. On this website, Amazon sellers offer free to discounted products in order to get honest customer reviews. Once you’ve signed up and logged in, you can search for products on Dollar Review Club. Select a product, press the “GET NOW!” button and you will get a coupon code. You’ll then use your coupon code to order the item for free, or at a discount. At BestOneReview, you can save more than 50% on Amazon products. The site features discount coupons and deals for a huge range of Amazon products. It offers both free and discounted products. Leaving a review of the product isn’t required, but if you do want to offer your feedback, then you can leave a review. AMZ.One Deals Club offers free and heavily discounted Amazon products. You can get products for 50% to 100% off! Use the promo code you get to purchase the product at a discounted price or for free! Once you get the product, you don’t have to review it, but you can if you want to. GYMLE is a company that sells gadgets and accessories for items like the MacBook, iPhone and tables. It sells things like cases and sleeves for a variety of electronic items. It offers customers the chance to try out products from its LAB Collection for free or at a discount price. You try out pre-release products and give a review in exchange for the free or discounted product. This helps the company to improve and further develop their products before they go on sale to the wider public. You’ll need to thoroughly test the product, and then provide detailed feedback on GMYLE.com, and on other platforms, like blogs, forums and social media websites. Review.Directory gives free products to blog reviewers and those who are experienced reviewers on social media. So, if you qualify, then you may be able to get some free products to review! 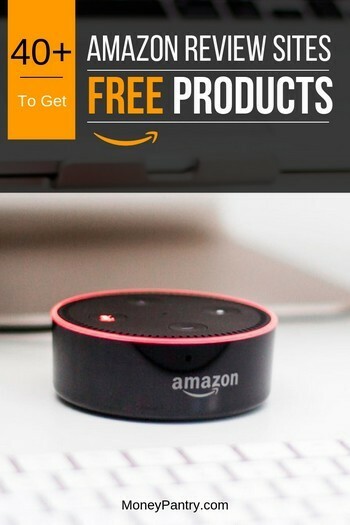 Another place to get free or almost free Amazon products is on Brand Awareness Club. You can get free stuff or great discounts in exchange for sharing your feedback. Get discounted products at Premier Deals Club. You can find products at 20% to 60% off. While you do not need to leave an Amazon review if you don’t want to, you do need to post about the product on Facebook. With Rank Booster, you can some great discounts on Amazon products. In fact, according to Rank Booster, you can get from 30% to 100% off – so you can get free Amazon products on the platform. At the time of writing, there were coupons available that gave you between 50% and 90% off. You need to create a profile on the site, and then request a coupon for the products that you’re interested in. Then when you request a coupon, the seller can review your profile, and decide whether or not they want to approve or reject your request. If the seller approves your request, then you’ll get a coupon. You’ll need to purchase the product within 24 hours of receiving the coupon. Then, you’ll need to write a social media/blog review within five days of delivery. Besides using review sites, there are a few other ways you can use to get products from Amazon without paying. Don’t like reviewing products but still want free stuff? No worries, with some of these options you can get Amazon item of free without leaving a single review! Above, we’ve mentioned a lot of places where you can get free or heavily discounted products on Amazon. But, there’s another easy way that you can get great deals on Amazon products – join rewards websites! You can exchange the points that you earn for gift cards to a multitude of stores, including Amazon! And, others give you cash! Since these tasks are so easy, and many of us do things like shopping and playing games online anyway, it’s such a simple way to make cash! 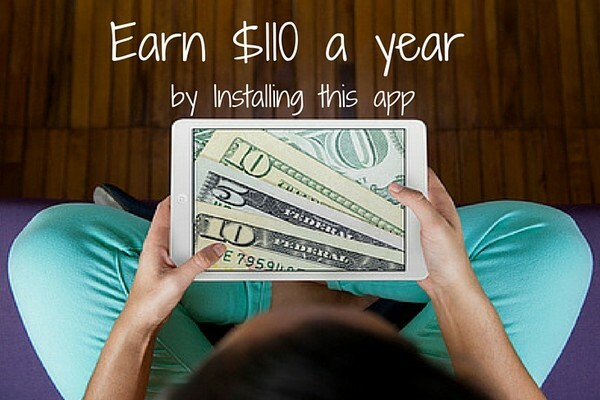 Perk: Perk is another app that you can use to earn money for completing a variety of tasks. You can earn $30 to $120 a month, according to reports on this Reddit thread and this one. Treasure Trooper: Treasure Trooper is a super fun website, offering a plethora of ways to earn. You could make $50 a month. To view earnings on TreasureTrooper, visit this page. So, if you got a $25 Amazon gift card from Swagbucks, then you could use it to get a free product, or even a couple of free products, depending on their price. Or, you could use your rewards website earnings to put towards bigger ticket items. And, you can do the same if you choose to get paid via PayPal! 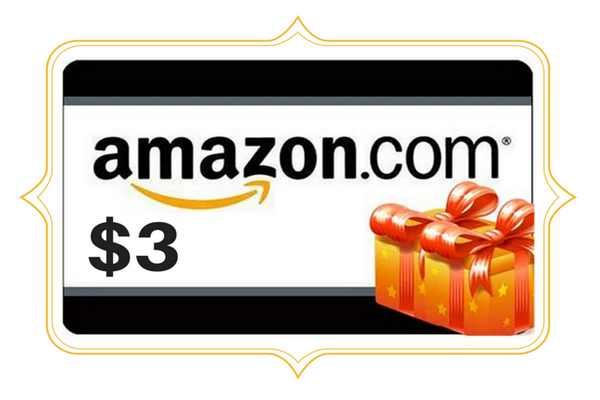 Just like rewards websites offer Amazon gift cards or cash you can use to buy stuff on Amazon, survey sites also offer these payment options. Surveys are quick and easy – and anyone can do them! We do recommend that you join a few different websites because it means that you’ll have more surveys available that you qualify for. MySurvey: On MySurvey, you earn points when you take surveys. You can redeem your points for money or for gift cards. A user on this Reddit thread says that, for some surveys, they earn from $20 to $25. SurveySavvy: You can make from $1 to $2 a survey at SurveySavvy on average. There surveys available that pay from $5 to $10 as well. Darwin’s Data: Earn $25 a survey at Darwin’s Data. Pinecone Research: According to reports on Reddit, people say that they earn $3 per survey and that they get around one to two surveys a week from Pinecone Research. QuickThoughts: Earn up to $3 a survey at QuickThoughts. You can go directly to sellers. Once you have enough of those reviews, you can contact the sellers directly and offer them a review in exchange for a free product. And since you already have a good history and track record of being a top reviewer, the seller will gladly give you their product for free. This is one of the best and most overlooked ways of getting tons of great products for free. If you read Amazon reviews a lot, you’ve probably noticed that little green stripe in some of the reviewed. Any review with that green stripe is a review by a member of Vine. Amazon’s Vine is a program where members receive free products in exchange for impartial reviews. What’s cool is that a lot of time, Vine members get products before they are even released. It’s sort of like beta testing. How do you become a Vine member? Where do you sign up? Well, you can’t just decide you want to join and sign up. You see, Vine is an invite-only program. If you haven’t already, every time you buy something on Amazon, make sure to leave a detailed and helpful review. As your trust score rises, you’ll have more chances of getting invited. A lot of people look for “Amazon Vine invite hack”, needless to say, there is no hack. You just have to follow the tip mentioned above and Amazon’s Vine guidelines and hope you get invited. Now here is the thing, even if you don’t get invited, if you keep leaving detailed and helpful reviews, sellers on Amazon will start to notice you and before you know it, you will have companies sending you their products for free in exchange for your reviews. So there is no way for you to lose. Although this may seem contradictory to what you are doing here, and you may think you will end up with fewer products, in the long run, it actually works out better. Because when shoppers read your reviews, they will upvote it if they feel like you’re being honest and detailed. And once you have enough top reviews under your belt, that’s when you hit the jackpot. That is when companies will send you free stuff in exchange for your review. 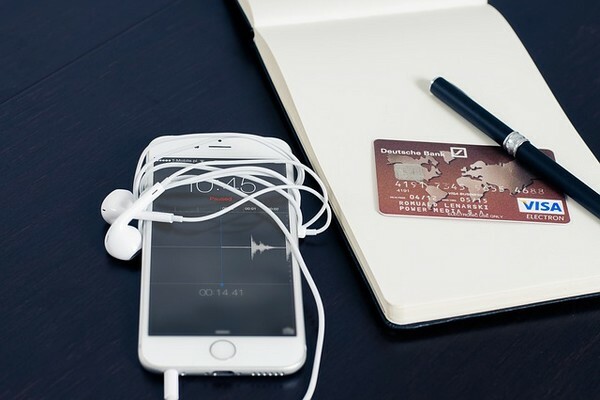 In such cases, the seller will actually directly contact you . However, this could be a nice and necessary option if you figure your review work is for the long haul (imagine all the shipping fees that got saved). As you can see, there are a lot of sites and ways you can get free things from Amazon in exchange for your reviews. Make sure not to give 5 stars to every product so you can make the seller happy and hope you get more free stuff. Instead, use the product and give it your honest and detailed review. That way, everybody wins. You provide your honest feedback, the sellers get a detailed review that may convince other shoppers to buy their product, and other shoppers get more information that will help them decide whether to buy the product or not. If you know of any other legit Amazon review sites to get free Amazon products, please leave a comment below and let us know. The link for reviewsforfree is a blank page. Melena, I see the website. From my end the link leads to their working website. It could be that when you were trying, the site was down for maintenance or something like that. “12. Deals for Reviews” seems to be down and out. NOTICE: This domain name expired on 1/24/2017 and is pending renewal or deletion. re: snagshout — incorrect info, they have a sliding scale. I’ve only been using it for 2 weeks and can already get 2 items at a time. and products are no longer offered free in exchange for review, but are $1.95 for full-sized product. Thank you for the correction, Ann. I updated the post to reflect the changes. By the way, are you an employee of the company or a panel member, if you don’t mind me asking? Another problem in not having any control over who takes the coupons is that not all reviewers are sane people. My products are good. Less than 5% of the reviews have 3 stars. All the rest are 4 or 5 stars. But someone gave me a 2 star. When I looked at this person’s other reviews, I saw that she habitually gives bad reviews to products that generally receive good reviews. She is obviously a disgruntled or maybe careless/thoughtless/jealous individual. Had I seen her track record I would never have approved her to receive my product. Have you tried contacting the site? todd, what review sites have you liked and would recommend for sellers? and whic have the largest number of reviewers? Check out our home page https://www.giveawayservice.com/ and our blog posts to see how to get started: https://www.giveawayservice.com/blog. That’s unfortunate. That is frustrating. I don’t know what else you could do. Hopefully, somebody from the company will read this and reply to you or perhaps respond to your emails. Good luck, M! Just wondering about your last point that you make about contacting the sellers directly. Is it ok and within Amazon’s policy to go directly to the seller and ask for a free/discounted product in exchange for an honest/unbiased review? As far as I know, sellers can’t directly ask buyers for positive reviews. But as a buyer, I don’t think there is any issue to ask a seller to give you a product in exchange for an honest review. Thanks for sharing your experience and I am sorry you’re having issues with them. How long have you been with them, if you don’t mind me asking? Thanks for the awesome tip, Shanda. I am glad you’re starting out with success, Natalie. Keep us posted. Violet, it might have been a one time issue with the site. It still works for me. You can use a new email, you will link your Amazon username to this account. That’s how they will know whether you left a review or not. How it works now with the new policy? Not sure really Dani. I see some sites are already changing the way they do it (doing the same thing but wording it differently). So I assume most will adopt. Did AMZ Review change to Vipon? It seems that way. Thank you for letting us know, Mary. I updated the post to reflect the change. All Star Reviews site no longer exists. they closed down since the amazon change. Thanks for the heads up Melody. they only have two deals so to me, not very worth the time as the price is more than the product is worth. I signed up yesterday for Vipon and Product Elf and my Amazon account was hacked. The individual changed my email so I can no longer access my own Amazon account. I have notified Amazon and they are in the process of fixing everything. While I can’t say for sure, Product Elf seems to be the likely culprit as I had to link my Amazon account to it. This is a nightmare! I hope this post helps others avoid this hassle. Can you please suggest Amazon review sites for other country. I am residing in India so let me know if there is any sites which is helpful to Indians like me. You’re wasting peoples time because you did no research. There is not free stuff for reviews as of October 2016 due to Amazon new TOS. Please see our “Update” note! I just signed up with amzrc.com, but I realize everytime I click on a deal to review a product in exchange for a discount, it takes me to the USA amazon website. I live in Canada. I am not sure if I can purchase any of these deals without incurring border fees? Yeah, that’s one thing you have to be very careful with. To be honest, I am not sure how they deal with that part or even if they accept members from other countries besides the U.S. I would contact them directly and ask. If you do hear from them, please feel free to give us an update here. Thanks for the heads up. Post updated. At one point, you had to know someone who was in the game in order to get scheme of things. Groups were minimally exposed. Now, because of walk through websites such as this, Amazon has cracked down onow their review policies and have made it nearly impossible to do the correct way, without being sneaky. Thus, most groups have changed and the amount of products hasuch plummeted. Thanks to websites like yours. So, on behalf of seasoned reviewers and original reviewers, thanks for ruining our hobby! Vipon now also dead. They have removed their Facebook and their help link is gone. I’ve been on the Vipon forums and no one is getting approved. So It’s pretty much DOA. Thanks for the update, Allizabeth! I am sorry for the experience. That doesn’t sound good at all. A company that’s not responsive is not a good one. Thanks for taking the time to update us, April. Thanks for the heads up, Doug. Much appreciated.